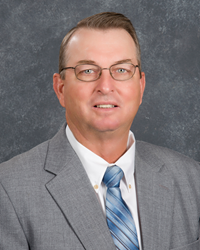 W. Steve Love is retiring from the Carolina Farm Credit board of directors after 10 years of service. We truly appreciate Mr. Love's commitment to our association and agriculture over that past 10 years. We congratulate him on his retirement from the board of directors. Vance C. Dalton, Jr., CEO of Carolina Farm Credit announces that W. Steve Love is retiring from the Carolina Farm Credit board of directors. Love served on the Carolina Farm Credit board for 10 years. He is a full time poultry farmer in Alamance County. Love serves as Chairman of the Eli Whitney Volunteer Fire Department board, on the Alamance County Voluntary Agricultural District board, and as Chairman of the Alamance County Extension Advisory Council board. He is also a member of Center United Methodist Church. Love served in the United States Air Force and earned and an associate's degree from North Carolina State University. "We truly appreciate Mr. Love's commitment to our association and agriculture over that past 10 years. We congratulate him on his retirement from the board of directors. The association has greatly benefited from his wisdom and understanding of the agricultural industry. We wish for him the best in the years to come," said Dalton. Love's term expired on October 29, 2014. Directors for Carolina Farm Credit are Mark A. Bray, Chairman, Lawsonville; L. Kim Starnes, Vice-Chairman, Salisbury; John M. Barnard, Statesville; E. Bernard Beck, Seagrove; W. Rex Bell, Statesville; David M. Coltrane, Pleasant Garden; Susie J. Gambill, Sparta; Joseph A. Lail, Shelby; Bobby J. “Bud” Matthews, East Bend; Clark M. Newlin, Haw River; Thomas E. Porter, Jr., Concord; Tony L. Ragan, Sanford; D. Kaleb Rathbone, Waynesville; Lewis E. Smith, Lincolnton; Vickie N. Smitherman, East Bend; Dr. Alton Thompson, Summerfield.